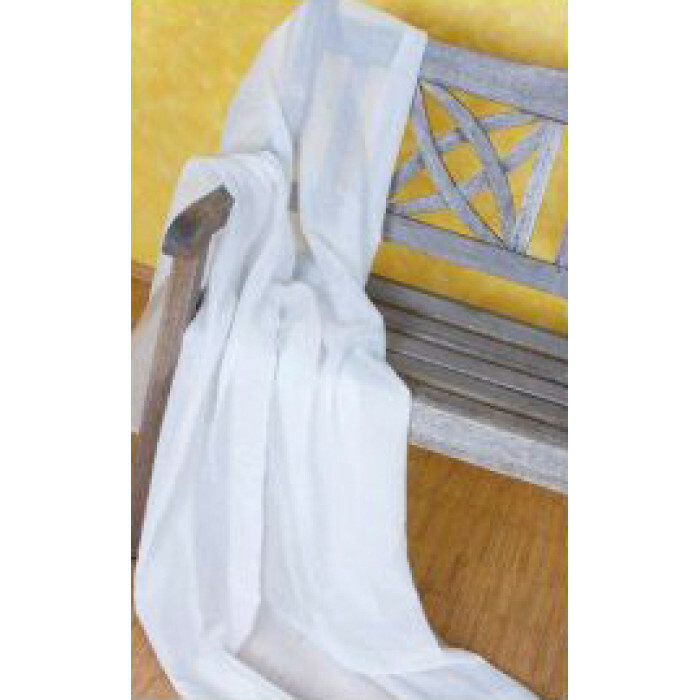 Voile 300 is a soft oating and transparent high frequency shielding textile. It can be used as in-between fabric for clothes as well as for curtains and canopies to shield sleeping areas or entire rooms. We also use this fabric for our canopy creations. Due to a metal coating of the yarn with copper and silver this textile can be washed as often as desired without losing its shielding properties. These special and expensive threads keep their function after 100 washing pro- cesses, even alkaline detergents in the pH range 7-10 destroy neither thread nor fabric structure.